On the phone once walking to a beach in north Mazatlán, I listened gape-mouthed as friend in the U.S told me how brave I was to live in Mexico. I was literally sitting on the beach in Mazatlán with a piña colada in my hand while a few girlfriends next to me talked about their boyfriends (the old Mexico Juan versus U.S. Todd debate) while she lauded my valor. Let's talk about exoticism, perception and reality for a moment. When I was married and living in the mostly-gentrified Fan district of Richmond, Virginia, my husband and I bought half of a beautiful nineteenth century two-story duplex. The house had retained its original four-foot-high windows on the ground floor in the front and back. Shrubs against the walls on several occasions had harbored homeless people who had made their way to our street, which was positioned between affluent Grove Avenue and Main Street, where we once had seen two women go at each other with straight-razors at the corner gas station. In spite of such dangers being only two blocks away, we happily lived there. One night there was a strange noise downstairs. My husband grabbed whatever he could that might pass for a weapon and made his way down the stairs. He was shaking but he moved nonetheless, taking a deep breath and summoning his courage for what might be coming through the downstairs back window. It was just the wind. But the fact that it was just the wind didn’t make him any less brave. After all, our imaginations create some of our scariest moments. Fear is just as real whether justified or not. We lived one block from a bad street. It was far more likely that there was an actual intruder in that neighborhood in Richmond, Virginia than there was a likelihood of having to face down a drug lord on a beach in Mazatlán. That did not prevent us from living in Richmond though. We were even culturally confident enough to split hairs between the safety of Grove Avenue and the dangers of Main Street one block away. Just like my friends at the beach, thousands of Americans have lived here in Mexico for years. Some single, some married, one must presume that all feel safe, at least as safe and often more safe than they did living in the United States or Canada. Mexico does have dicey parts, just like the U.S. Without any acknowledgement of Americans' lack of familiarity with names and distances, most advisories about Mexico warn you by citing a whole state, rather than warning you about the dangerous city or neighborhood in that state, which is about as fair as warning you not to go the California because it has Oakland in it. By those rules, I should go out of my way to avoid the entire states of Louisiana, Maryland, Missouri or Michigan, each of which host one of the four most dangerous cities in the world. Sure that sounds stupid when you are talking about the country you know so well, but when people are unfamiliar with the names of states versus the names of cities in Mexico and don't register just how big the country is, it seems prudent to avoid the entire name, much less make distinctions between neighborhoods. Let's not take any chances and just avoid California this year, honey. Ultimately, rather than deny I ever had the same fears about Mexico when sitting in my office in Denver, I began to take credit for facing my own imaginary demons, those inchoate and undefined fears about moving to Mexico that had seeped into my thinking from too many years of reading sensationalized press and confusing the exotic with the dangerous. If you are considering the reasons to move to Mexico; that it could raise your standard of living three-fold, eliminate your worry over healthcare in your old age and give you the opportunity to experience daily some of the most gracious people on earth, don't you think it's important to know the difference between real danger and the wind? Next Up: You can't be an honorary Mexican without using the bus system now and then. It's a primary cultural exchange experience. 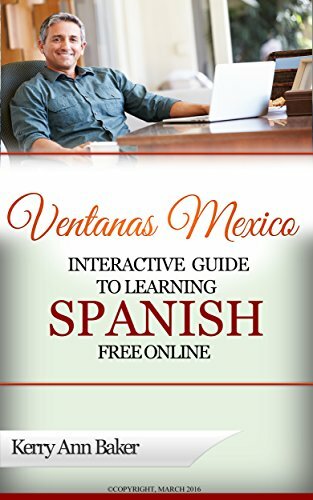 Kerry Baker is a partner in Ventanas Mexico, which provides resources such as "Interactive Guide to Learning Spanish Free Online,' a curation of the best free language tools on the web. 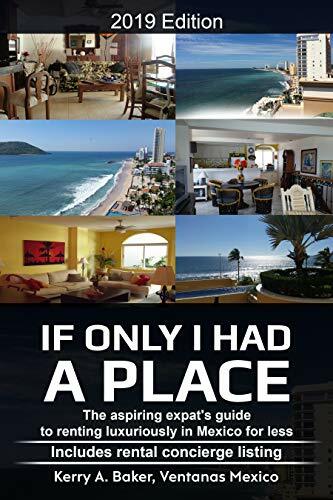 Her new book, "If Only I Had a Place" covers how to rent luxuriously for less in Mexico.